The growing influence of social media cannot be overlooked by businesses of today. Different social media platforms eventually generate leads for your business and transform interested prospects into loyal customers. No wonder that social media lead generation is an art and to understand this art, one has to be an artist and learn this unusual world of social media. Strategy is the reason behind the success of brand over social media platforms. But you will have to think twice before finalizing a strategy for social media for business. You do not really need to switch to a complex strategy. Keeping it simple is a way to forward. Analytics and success stories can help you in developing a successful strategy for your brand. Tip: Create clear strategy based on your target audience and the type of platform you want to use. Customer Relationship Management (CRM) system helps to empower customer relationships. It is a user-friendly application which is well known to the majority of businesses around the world. By incorporating a social media element into your CRM strategy, you will be able to maintain a consistent brand voice across different channels, solve customer issues, complaints, and concerns rapidly, and increase revenue, market share, and brand value. Example: The CIMB Bank sees the integration of social media into their communication strategy less as a risk but rather as opportunity. It helps to engage their customers with competitions or by letting them decide what their next credit card layout will be. Tip: Integrate your social media account into CRM systems and put considerable amount of effort into social media strategies. This is the best way to rebuild trust. Festive seasons are the ideal time to create new leads for your business through social media. Attempt a giveaway advancement that requires a join page. Incorporate a possibility for the client to get a bulletin as an additional motivation. Not exclusively will they have an opportunity to win an awesome blessing or rate off an administration. They will likewise be marking themselves up for an opportunity to hear more about your business. 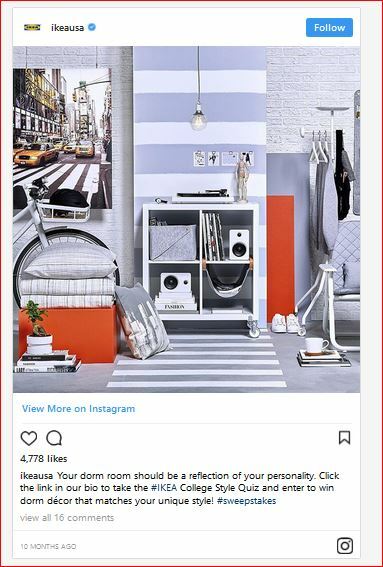 Example: Gather information through a contest entry form—as in the IKEA (Providing a range of home furnishing products that are affordable to the many people) example below—that will turn contest entrants into qualified leads. Way Easy Gifts is following this pattern with their “12 Days of Giveaways” advancement. The client can pick between three distinct endowments of a similar topic and enter to win the prize. Not exclusively is the advancement producing leads and acknowledgment for the brand, it is additionally expanding their social stage. Each individual who enters the advancement must like the Facebook page to look at the blessings. Tip: Determine the ideal buyer with specific marketing strategy, use the power of storytelling that lead the value of your business and build relationship. Yes, it’s the content that matters in the end. Be little seriously funny about what you are going to publish on your social media official accounts. Humour grabs attention quicker than a promotional propaganda when it comes to social media. Obviously, the purpose is to generate leads through social media and gain followers. Start posting interactive posts because sometime even a single post can bring lot of positive engagement while the other post can bring our page down. As an expert, you will need to figure it out what content is praiseworthy and what is not. Interaction is important with target market and social media gives a favourable environment for such productive interactions. 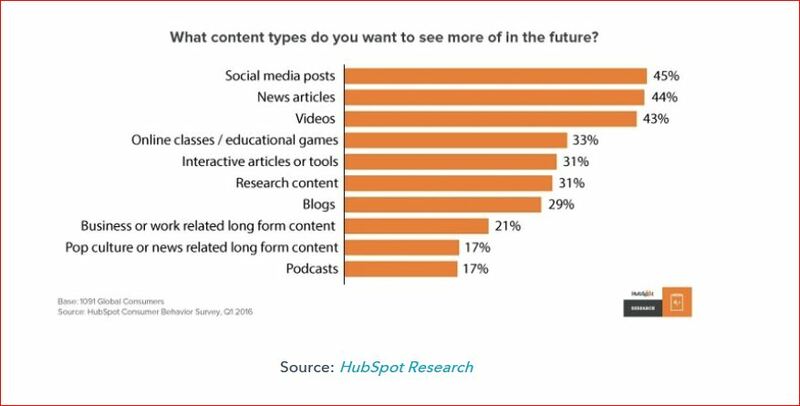 Tip: Create tailored content marketing programs based on their interest level and categorize them for further engagement. What impression your relatives would have over themselves about you if you do not answer their calls for so many days or may be months. Yes! It’s kind of a weird example to be given here. But the same feeling your potential prospects can have if you do not reply them on time. If you become unresponsive about enquires or messages or comments online sent through social media then what would happen? This could lead to a bad situation for your brand on social media when all your business needs are just profitable social media leads. Tip: Learn the best way to please your audience on social media and gain a positive image over the period of months. Social media is continuing to evolve in a way that rewards your sales efforts and branding as people engage with your brand. When it comes to a paid promotion, social media platforms can bring greater ROI and more concentrated results. You can reach audience from anywhere in the world at any time without much cost involved. But remember, to start with you must set up a budget. Tip: Pick the right channel for paid promotion, select target audience, and include strong call-to-action to get most out of your investment. 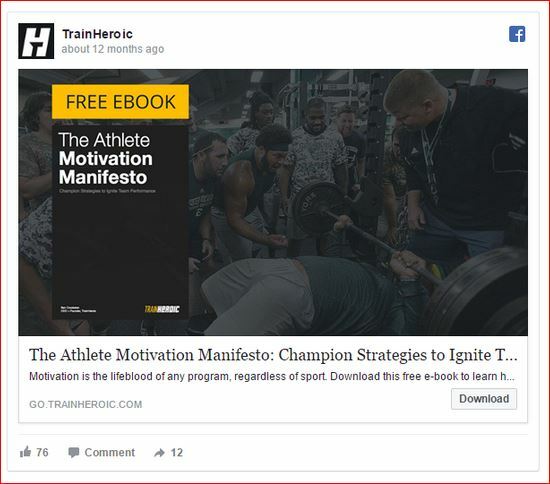 Example: Train Heroic, which provides strength and conditioning software for coaches, promotes its ebook The Athlete Motivation Manifesto. Having a social media presence of your business won’t not enough until you hire a social media expert to boost your business sales. The real reason behind social media lead generation is creating an impactful engagement. The engagement can be driven by frequent content publishing on social media channels. Update background images on your profile. Go Live and communicate with your audience. It’s really important that how your content has been put across in front of your target audience to grab their attention in micro seconds. Tip: Make sure you have clear goals for preparing strong presence in social media. Undoubtedly Social media delivers quantifiable results in sales, leads, and branding. It also increases your global reach at a low cost or with no cost. The world of social media networks is keep changing and evolving. So you must stick to a plan on social media lead generation. Stay social!